Once again time to get into another Guild Checkpoint. This week we highlight a guild in the Galactic Republic, Mansurus Ordo. First, we will discuss the origin of their name, how they decided to form a guild and find out more about role playing, especially those new to the scene of RP, in an MMO. Let’s get into the Q & A session I had with JediMasterBurst from Mansurus Ordo, but now let’s check out their recruitment video. Mansurus Ordo is roleplaying Republic guild; can you first explain the guild’s name? How does this impact the role playing aspect of your guild? Mansurus Ordo is latin for Enduring Order. If we fall down, we only come back stronger than before. This applies to roleplay from the point of view of the Republic. Over the course of time the Republic had been invaded by the Sith and the Empire, yet it always came back stronger and more determined than before and Mansurus Ordo has been at the forefront of the effort rebuild the Republic and defeat the Sith. We touched a bit on the aspect the role playing, how important is role playing going to be in your guild? Roleplay is extremely important to our guild, perhaps the biggest part of our guild. Our guild will have an apprenticeship program to help new roleplayers learn about the history and culture of the Republic, the Jedi Order, and the Force. We are also strong believers of having a trial program advancement in our guild and titles will be given out for completing the trials. For those not familiar with role playing, how would you describe what a new guild member might encounter when first joining your guild? New guild members who are not familiar with roleplay, should expect a warm welcome by guild officer or guild member whether it be as an invite from a group or at an official induction ceremony. Often times a senior mem ber of the guild will take up the new member and show him around and start asking questions about the new member’s roleplay style, character background, and other questions to get a sense of the persons play style. This can lead to the person being picked up by a guild member to be his apprentice. There will also be roleplay classes and other ways to guide new members into how to roleplay. Not wanting to dwell too much on drama issues associated with its formation, but how is Mansurus Ordo planning to move forward in SWTOR? 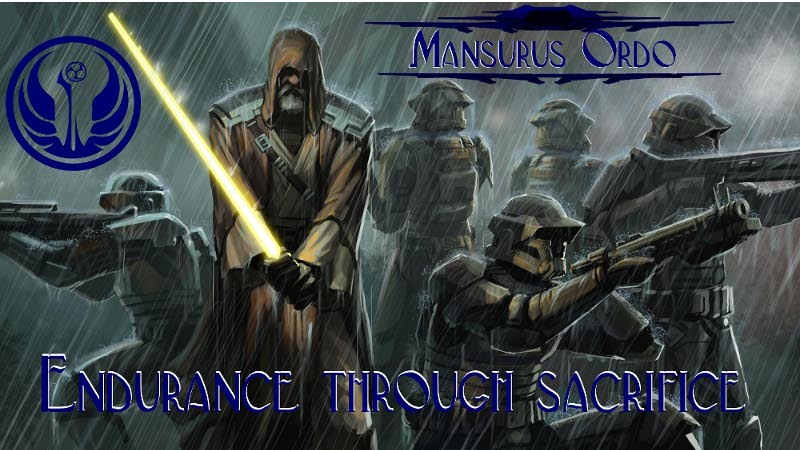 The planning of Mansurus Ordo SWTOR started back in 2009 to be the next phase to Mansurus SWG. Many of the ideas for Mansurus Ordo SWTOR came from our SWG guild and other guilds we were in prior to that. Our current plans call for a much more structured guild leadership system in order to handle a large guild of possibly 100 to 500 people. As well as expanded leadership training program to allow members to have expanded roles within our guild. Also we will be much more focused on expanding the PVE, PVP, and roleplay aspect of our current guilds to meet new situations within Star Wars: The Old Republic. How did your guild first hear about Star Wars: The Old Republic and what about the game got your guild interested in wanting to be a part of it? We first heard about Star Wars: The Old Republic in 2008 as rumors of a new Star Wars MMO was coming out. What was about the time initial release of the name and the first basic information came out. We started to look into the game as a possible new home for our Star Wars Galaxies guild around 2009, because we were having a hard time keeping the numbers of our guild up in SWG, mainly due to decreasing player base of our server. Since roleplaying utilizes story to progress, does your guild plan to incorporate the story for each class into the roleplaying stories of the players? Since we are a light roleplaying community, the guild itself will not truly be incorporating the story in to the player’s roleplay, but since the story from the game does affect the player’s roleplay, some incorporation is to be expected. Mansurus Ordo has been part of several MMOs, has roleplaying been a part of all those games and how will the experiences from the other MMOs translate to SWTOR in helping your guild progress? Roleplaying has not been a part of all our guilds; in EQ2x for example our guild was primarily a PVE guild. Mostly our guilds preferred a mixed style of play. But in those guilds we did heavily roleplayed in, we decided to do more of a light style of roleplay based character bios, apprenticeships, and background stories to advance our roleplay rather the normal roleplay rules and guidelines. I notice that your guild, even though PVP space combat does not yet appear to be in the game for launch, is organizing a Defense Fleet, can you explain a bit about this and what sort of space combat would your guild like to see to SWTOR in the future? Right now, the defense fleet is more of an idea from back in SWG days, but if a Space PVP system is worked out by the devs, then the Defense fleet idea has been mapped out already. The idea comes from event that was common place on SWG Bria Galaxy. The event was a series of battles between Rebel and Imperial for control of the space lanes and prestige for the side that comes out on top. We would hold these wars about twice a year over the course of ten weeks. Some of the guilds had specific teams that would take part in these events. If someone is looking for a Republic guild to join, and participating in some roleplaying in SWTOR, what steps do they take to joining Mansurus Ordo? 1. Contact JediMasterBurst, Bayo, or Firebird-X on the SWTOR forums and state that you want to be recruited for Mansurus Ordo. 2. One of us will send an application and instruction on how to join. 3. 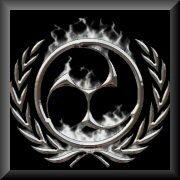 Once accepted we will ask the new member to join our forums and our Guild HQ page. 1. Connect any member of the Mansurus Ordo guild to sponsor you. From there a guild recruiter or officer will send you an invite. 2. Once invited you will need to register at our forum. That is a look at the Galactic Republic guild Mansurus Ordo. If you are into roleplay and looking for a Republic guild in Star Wars: The Old Republic, check them out. A special thanks to JediMasterBurst for all his time and information. Remember, if you would like to have your guild to be highlighted on CRR, please submit your guild’s name and website in an email to me at jason@corellianrun.com. Thank you, Jason for the hard work and great question you presented us for this Guild Checkpoint. And to Carla, Kathy, and the other staff of Corellian Run Radio for building this great website, postcast, and the community around all of us.